As you probably already know, Florida is one state where homeowners have had their share of problems. Aside from record high numbers of foreclosures and short sales, bankruptcy requests have also become a major problem in the state. In most cases mortgage lenders are not able to recoup their losses from distressed homeowners if the court grants bankruptcy to them, especially Chapter 7 bankruptcy cases. This has a major impact on many creditors including mortgage giant Bank of America. 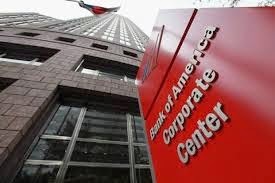 Recently the Bank of America lost 2 cases involving Florida homeowners that were granted bankruptcy by the U.S. Court of Appeals due to the fact that the value of the properties had fallen below the value of the first mortgage even though 2nd mortgages had been obtained through Bank of America. Then end result was that the homeowners were not required to pay back any of the money they had loaned on their 2nd mortgages.